Dusting the floors, cleaning the carpets, emptying closets and garage, and airing out the house may all be on the spring cleaning checklist this year. But, as your Warner Lakes Dental dentist, we’ve come up with a slightly different spring cleaning checklist – a checklist for your smile! Below are some spring cleaning tips to help keep your mouth clean, ensure the safety of your teeth and gums, and keep your brushing tools and area shipshape! Replace your toothbrush. Have you been using the same toothbrush since Christmas? Since Easter? If so, that’s far too long – toothbrushes should be replaced every 3-4 months. That also goes for electric toothbrush heads. Also, if you’ve been sick, you need to replace your toothbrush to avoid a recurrence of your illness. Go electric. You wouldn’t use a sponge to wash your floor if you had a mop. Part of cleaning is having the best tools. For many people, the electric toothbrush is the best tool for brushing. These high-tech brushes remove debris from your teeth more effectively and with less effort on your part. This makes cleaning more efficient and effective. Take a look at your bathroom. Once you have a new brush, take a look at how much toothpaste, mouthwash, and floss you have. This is an excellent chance to try a new product, whether it’s a different brand of floss or flavour of mouthwash. Also, check that expiration date on the mouthwash as it does expire. Consider changing the flavour of floss you use (there are many flavours, from mint to bacon!) These small changes can re-energise your bathroom habits, keep you up-to-date with your oral hygiene, and give you a new leash on dental life! Watch what you eat. A diet high in foods and drinks packed with sugars, acids, and simple carbohydrates provides a catalyst for the formation of plaque. Food that is hard and sticky can also leave food particles and bacteria on the surfaces of teeth and in between teeth. The more plaque, the higher the chance one has of getting cavities and/or gum disease. Clean everything. Brushing retainers, night guards, mouth guard, Invisalign, etc. are part of our daily routines. The storage cases these sit in, however, often get overlooked, and they can collect bacteria and grime. Spring cleaning is a great chance to soak your storage cases and give them a vigorous scrub to eliminate bacteria and debris. If you’ve been ill, it’s always a good idea to scrub your retainers, guards, and cases right away to avoid re-infecting yourself. Teeth cleaning and checkup. Scheduling a teeth cleaning and dental check-up is good to do in the spring to catch any potential problems you might have gotten over the winter. Examination – using specialised hand tools and X-rays if needed. Comprehensive cleaning – your teeth are professionally cleaned, scaled and polished to get rid of plaque, tartar build-up and food stains. This is the first step to a cleaner, brighter, better-smelling smile. Oral health and dental hygiene education – your Warner Lakes Dental team will advise you on how you can properly maintain good oral health and prevent further issues. Teeth whitening. Take a peek at your teeth in the mirror. Are they ready to be smiling in the springtime sun or are they due for a little cleaning and whitening? That warm coffee that we like during winter can leave our teeth a bit dirty and yellow. Spring is the perfect time of year to schedule a cleaning with your Warner Lakes Dental dentist and ask about our convenient teeth whitening service. At Warner Lakes Dental, we can help chase away any dark clouds hovering over your smile. With teeth whitening options at Warner Lakes Dental, your teeth can be bright again! “Air out” your breath. Bad breath can be of the most distressing dental conditions. Also called halitosis, bad breath is caused by a wide range of factors, and the treatment depends on its exact cause. If bad breath affects your personal and professional life, your friends at Warner Lakes Dental have recommendations and solutions to help you deal with it. 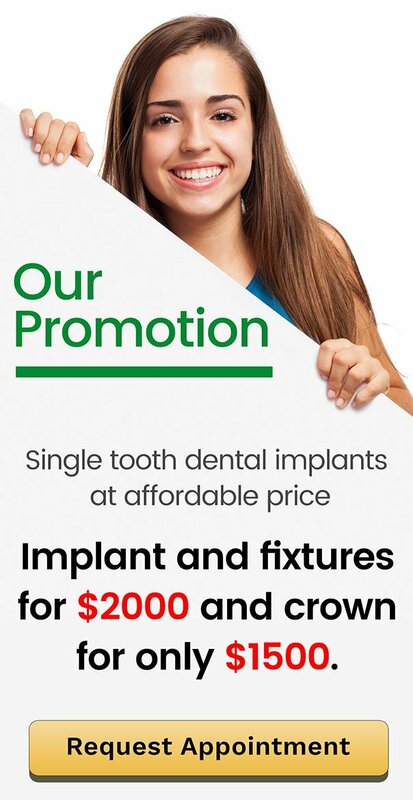 Warner Lakes Dental wants your visit to be the quickest and most convenient dental experience possible. From parking to treatment, we try to make the entire process as painless and straightforward as possible. Call us on (07) 3448 0162 or visit us at Warner Lakes Medical Precinct, 1185B Old North Road in Warner.